After purchasing the ticket, I wasn't that excited because the physical ticket was officially posted about 2 weeks later. 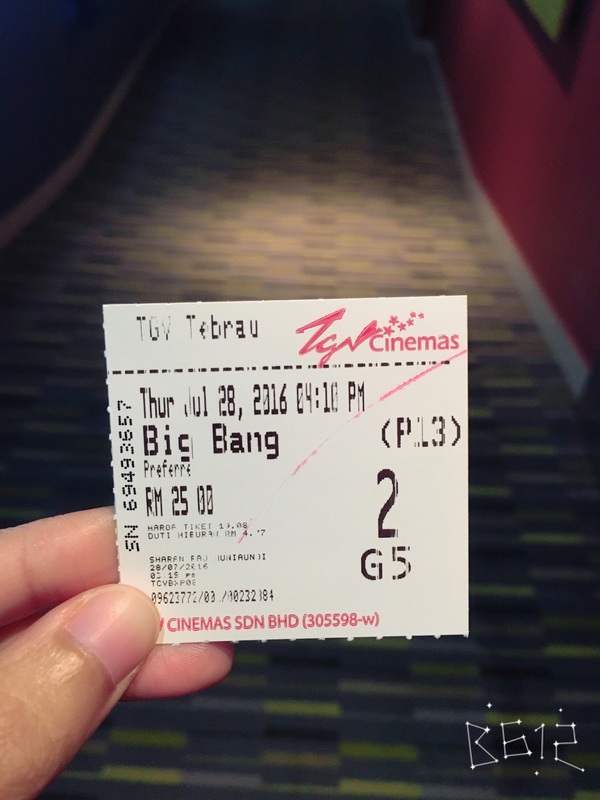 I went to watch Big Bang MADE movie (thanks Hani :*) in Malaysia and that was the moment I thought, "man.. it's gonna be a crazy ride". And yeah it was. Read further to know how/why. Other than that, I dressed comfortably with sport shoes, loose shirt, and a backpack. I put on light makeup because I knew there's no point of having too much makeup (but I'm amazed how many of Korean fans stay with full-makeup until the end of the concert when I saw them in the subway haha). Besides all the preparation, I booked a bed in Hapjeong, 4 stations away from the stadium because the crowds are no joke and getting on a 40-mins subway back to my friend's (Konkuk university) might not be a good idea after all the standing. Of course I'm right. 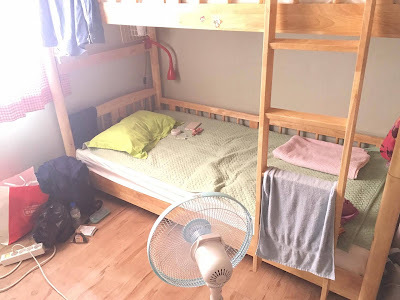 I checked in the hostel on the day of the concert, which as usual, I woke up late and ended up arriving at the hostel around 12pm. Me and my tardiness lol. The room was okay for one night stay since it's the cheapest I could find. 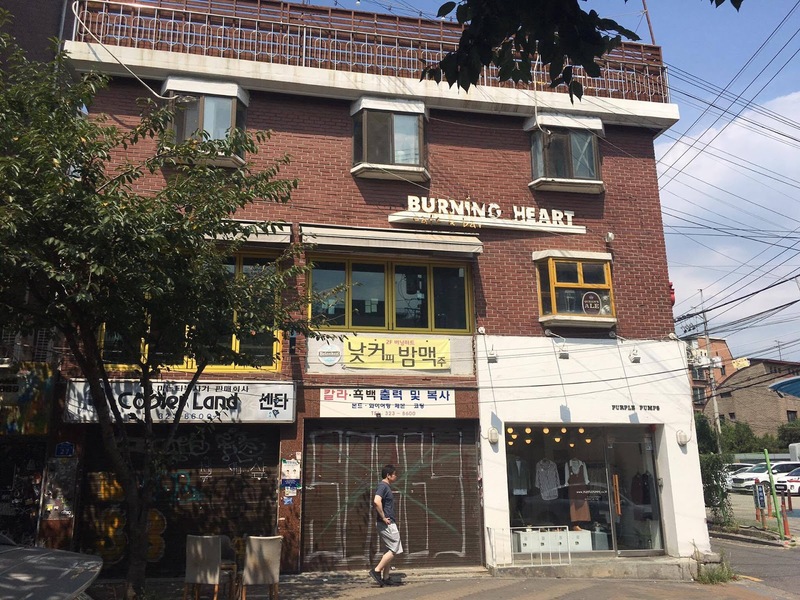 Besides, I met 2 lovely ladies (1 Chinese and 1 Korean) who were staying there for the same purpose. We were fangirling at night and watched each other's pictures and videos after the concert. It was freaking hot that day. You can't see any line, do you? While I was queuing I heard some Koreans said that there are several booths that sell only lightstick and it doesn't even take 15 minutes. *jaw-dropped* I knew that around 4pm and I was alone! I can't give up my space now and bet for another chance at other booths that I don't know where! So I thought since I already waited 4 hours, let's wait a bit more (I can see the cashier by then). Or so I thought..... *insert suspense cue music* Guess what? I gave up around 5pm even though I was almost near the cashier because the website mentioned that the ones with standing tickets need to go in by that time. Kim said, from the blogs he read, those who were late might have no choice but going to other section later. I was so scared so I ran to the main gate like my life is going to end soon. Okay. That's exaggerating. How it looked like when I just got in around 5pm. Now, going into the C section is no joke. We have to get down to the ground level of the stadium but people started pushing one another. It wasn't in control. 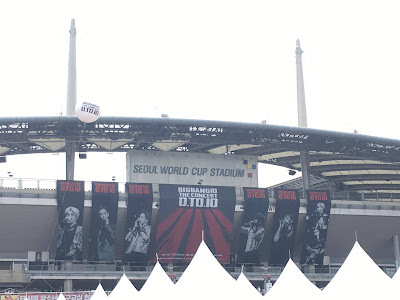 Some Korean fans were saying how unbelievable the concert this time. 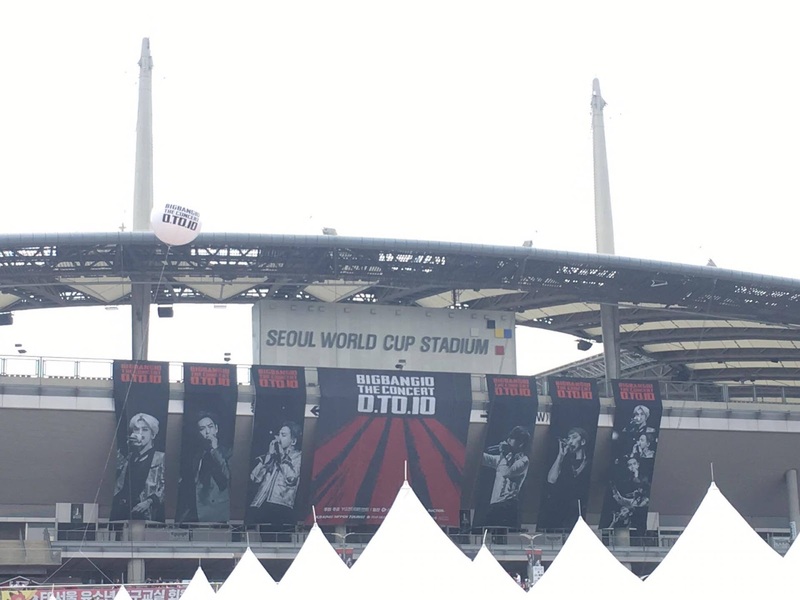 One Korean friend I met said it was her 5th Big Bang concert but this one was the worst in terms of management. I can't believe how they just didn't check our waiting number (for entrance) as we entered as well like someone can easily go to the other section. Little that I know, around 65,000 people came to watch that concert (the next day). That's the end of the concert. 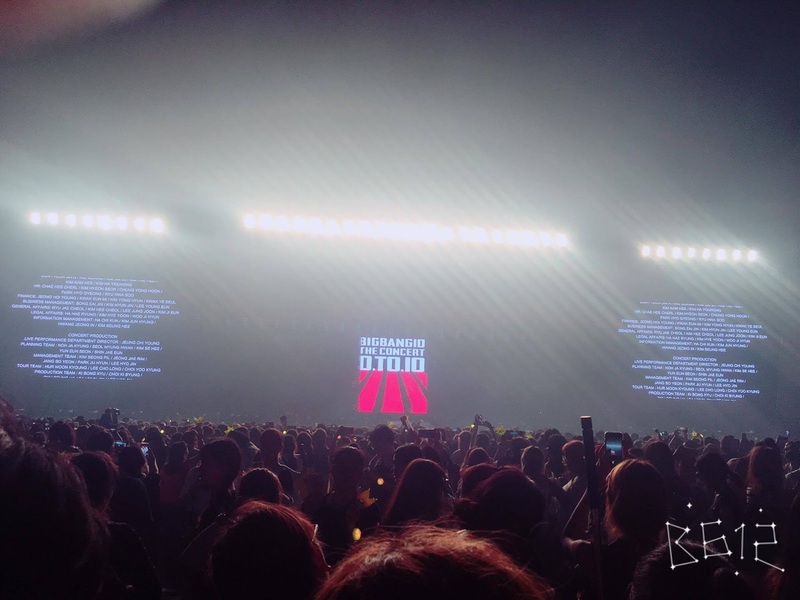 Overall, of course all BB members were amazing. 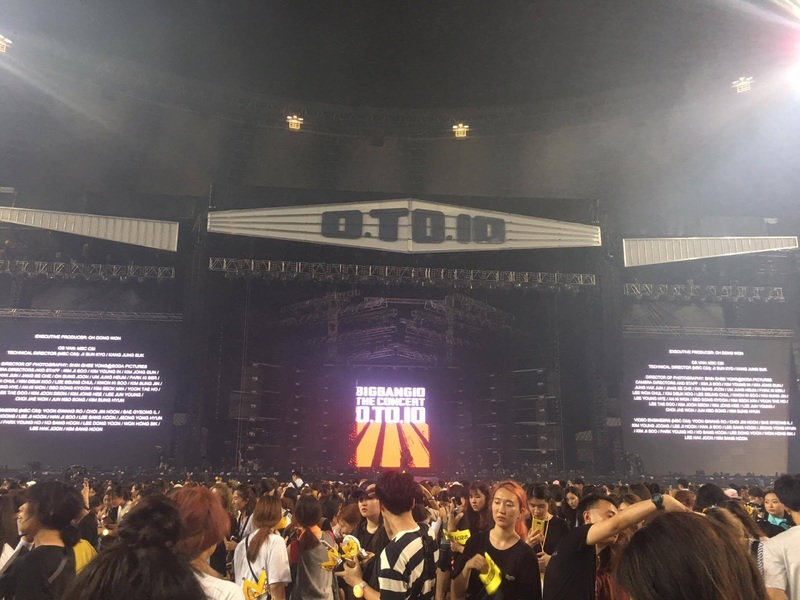 Daesung and Seungri talked with the audience a lot. 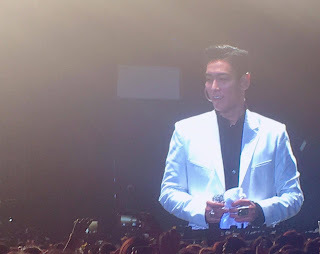 GD & TOP, well... with their own charisma as always. Taeyang's voice is powerful, as usual. 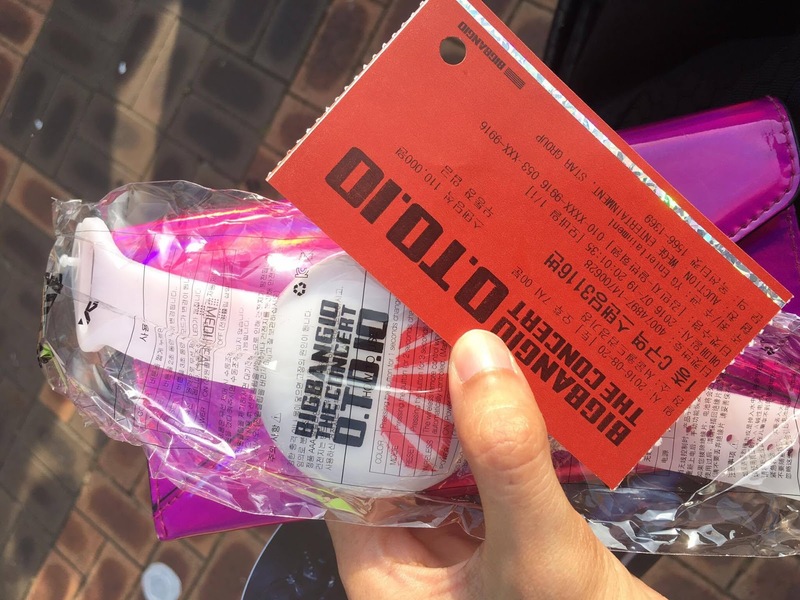 I'm glad I was a part of the concert but I still wish it could be better with the wristband part despite the fact that I didn't get to buy any lightstick before that. 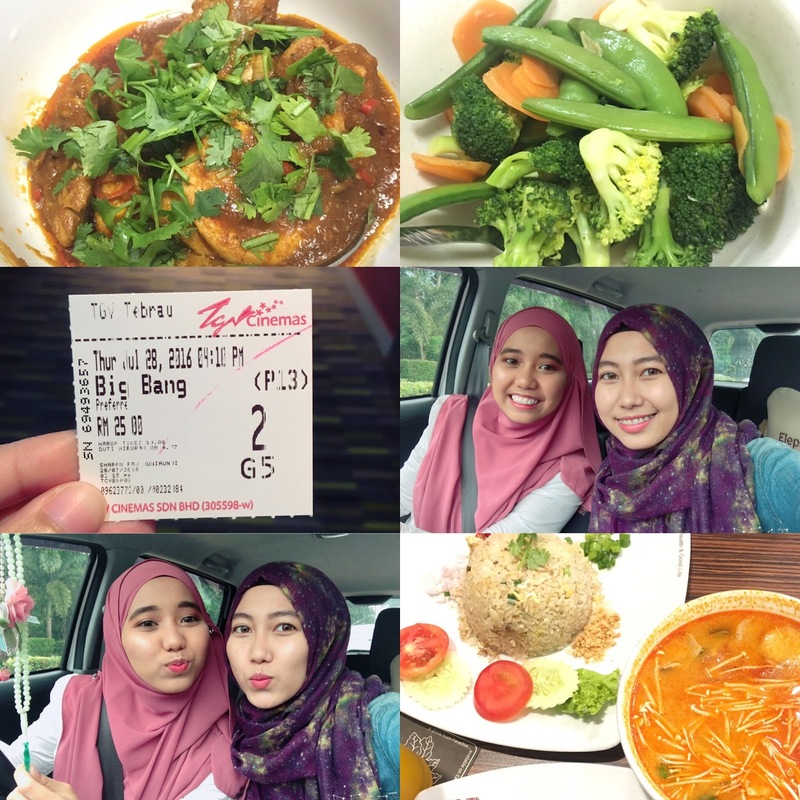 Satu lagi, I think I never sweat that much in my whole life ever. Baju basah, kaki tak rasa, pinggang dah macam nak tercabut. 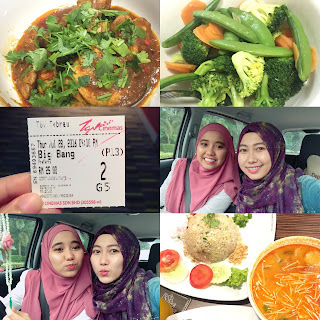 Perghh memang barai-gila barai. Hahaha. Get a friend or better, a small group. 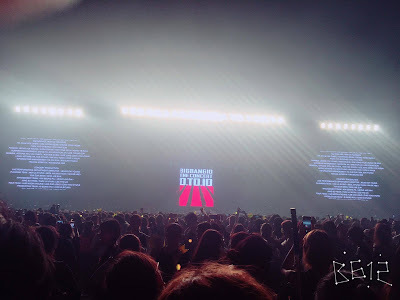 Even if you didn't plan to buy some merchandises, during the concert, there were lots of VIPs from Chinese and Japanese other countries giving out banners, hand fans of your favourite oppa and goodies etc. So each can go out and about finding what they can get around for free. Don't be late. Go early like right after the sunrise if you can. LOL. 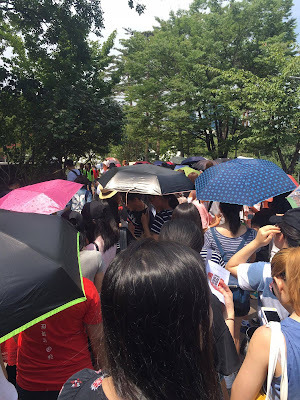 That day, there was a booth distributing free masks purposely for the concert which I can't find where as I said, I wasted 4 hours for merchandises. Learn some chants if you don't wanna be like me - I was amazed at every single thing happened throughout the concert. Kalau tau certain chants baru feeling lebih sikit. I bukan VIP tegar so I tak hafal all the lyrics or even know setiap satu lirik lagu. I just enjoyed the music and remembered the rhythms and all. Hope this post helps (or at least make you feel excited kkk). If I were given a chance to go again, I would go with Kim - force him maybe? 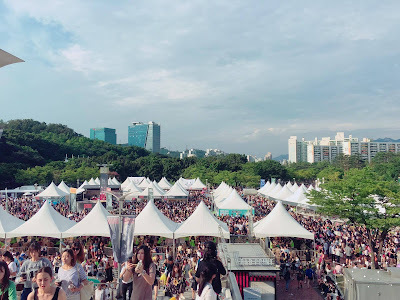 I saw some couples supporting each other during the concert and how some Korean boyfriends being (over)protective kipaskan awek diorang lah, suap air/snacks ah bagai, suruh awek duduk bawah pokok and beraturkan untuk merchandise, payungkan kepala awek dari sunlight dengan tangan lah kahkahkah. Kalau tak pun ada member yang boleh sesama feling bae bae bae pun boleh dah. Farewell smile after concert be like. Have fun at the concert guys! I'm back! 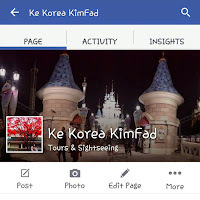 And I'm back with a new package for #kimfadtourguide which is 7D6N Seoul + Jeju. We're so excited to announce this package since long time ago. Now is the right time! 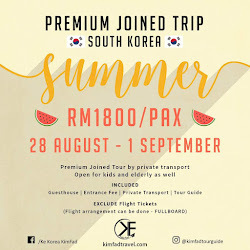 If you're interested to go around Seoul and Jeju island with a Malaysian muslim tour guide (at an affordable price on top of that), please read further before you proceed with the booking.